Robert Swan was in Wellington last week and I was invited to a small dinner. Robert gave a pre-dinner slideshow that set the scene for an inspiring evening, and touched many chords for all of us. For me, having been to both polar regions, having some idea of how epic his walks were, and being a student of polar heroic history, it was a big treat sharing his tales, elbow to elbow, at the dinner table. The short story is that he walked to the South Pole in 70 days without radios but, upon arrival, discovered that… his ship had sunk in ice. They had no way to get home, and no assets to cover costs! 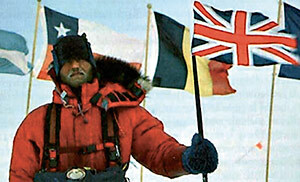 Rising from the ashes, three years later he walked to the North Pole with a multinational team of seven. Unexpectedly the team struggled to survive because of uncharacteristic early melting of the polar ice. This sparked a concern for climate change. His supporters, Jacques Cousteau, Sir Peter Scott (Capt. 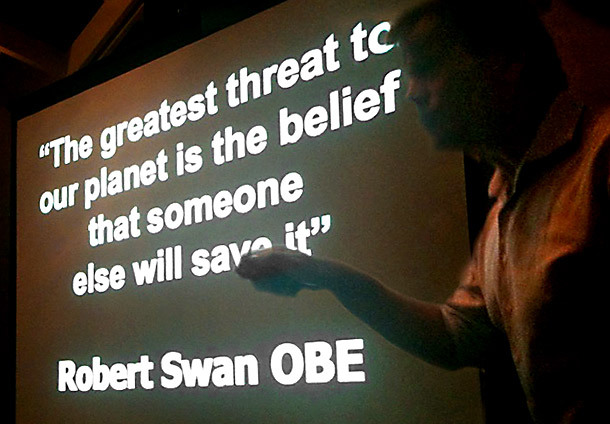 Scott’s son), and our Sir Ed, encouraged Robert to be an advocate for the protection of Antarctica. With the Antarctic Treaty up for renewal in 2041, Robert developed his 50 year mission to make sure Antarctica remains protected and respected. Robert has since taken the stage with world leaders at the Earth & World summits, run campaigns to clean up old Antarctic bases, used oceanic yacht races as calls to action, sailed around Africa, is a motivational speaker, works on climate change awareness, runs Antarctic leadership tours, built an educational base in Antarctica, and is currently planning his next mission which might just involve another long walk. Whoa! You can do anything if you put your mind and heart into it. He certainly has proven that. Believe in yourself, go your own route, commit, and don’t be scared to do hard yards. Follow your heart and do things that inspire you. One person can create something big and make a difference. The climate might be warming naturally, but humans are adding serious harm, and consequences are serious for all of us. Photos of Capt. Scott’s Cape Evan’s hut in Antarctica, containing many of the brands that went on to support Robert Swan’s trek again in 1986. Thank you Rob Morrison for being a very generous host to us all. Great experience, thanks for sharing it. Interesting man! You're reading South Pole and North Pole. Being bi-polar is a 50 year plan. Inspiration to me at Nature’s Pic Images Blog.